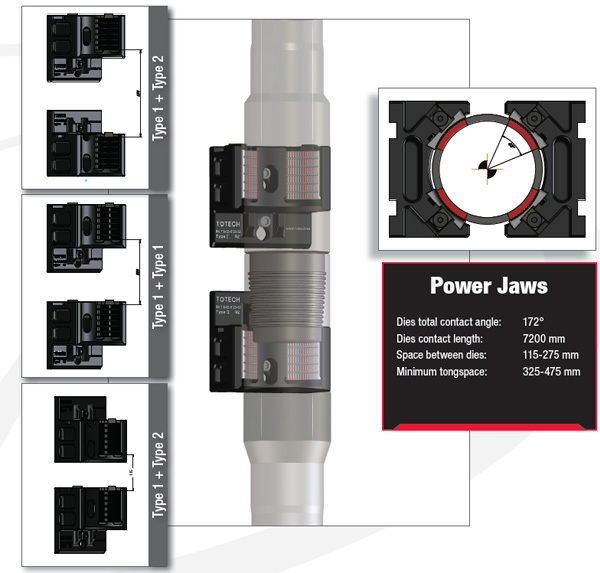 The standard jaw is designed to handle all sizes of drillpipe. 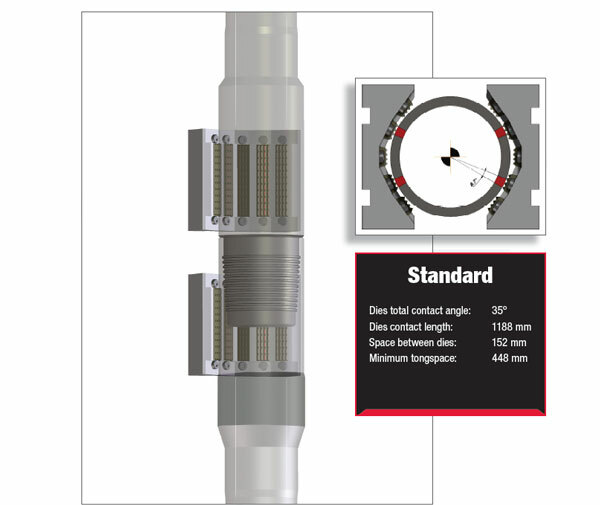 The compromise of “One size fits all”, does not meet the challenge of drillpipe with high torque and slim tool joints. The standard jaw requires high clamping force to achieve high torque, creating documented “Egging” effect/ovality, resulting in insufficient make-up and brake-out problems. The PowerJaw fits of the tool joint. With curved dies 33 % shorter than the standard dies, the contact area is increased by 490%. The result is no “Egging” effect, guaranteeing a correct make-up and safe, effective, trouble-free operations.